Renault unveiled the 2012 Renault Twingo at the Frankfurt Auto Show. The Twingo 2012 gets a design overhaul with larger Renault diamond on the bonnet and re-arrangement of the fog lights and round sidelights next to the grille, giving a new distinctive look. Also new for the 2012MY is the addition of two colors: Fuchsia and Bermuda Blue to the existing color options. Continue reading for the official press release. Outside, the front end of New Twingo has taken its inspiration specifically from this new design approach. On the bonnet, the Renault diamond is both bigger and significantly more upright. The black background highlights the badge and presents the brand in a robust, confident manner. Like the first-generation Renault Twingo, the newcomer features an expressive, appealing front end. Its dynamic, playful character is underlined by its fog lights and round sidelights which are now positioned next to the grille. The 'eyelids' of the headlights also contribute to new Renault Twingo's distinctive looks. Warm, original new colours called Fuchsia and Bermuda Blue have been added to the existing range, and bring a touch of light-hearted fun that's characteristic of city cars. Depending on market, New Twingo can be fitted with a electrically-operated fabric sunroof as an option. At the rear, there are new lights in addition to the main cluster. Located on the tailgate, they enhance New Renault Twingo's lines and echo the front end, bringing extra shape and punch to the car. With a rounder rear bumper and a more curved form for the lower part of the tailgate, the lines are softer. Among the 24 different alloy wheel and wheel trim options, one particularly assertive new wheel design (black diamond effect) contributes to improved aerodynamics and reduced CO2 emissions. Inside, Twingo's bubbly side is enhanced through the harmony of colour and material. All the upholstery options have their own personality. The seats feature new patterns, with edging picked out in contrasting colours. All stitching, as well as the leather or TEP panels, are coordinated. The colours also feature on the door inserts and climate control and heater system controls. The lateral air vents come in different tones, depending on the market (Gloss Black, Majorelle Blue, Anis Green, Gunmetal), and their controls are detailed in chrome. Depending on market, the higher equipment levels offer clearly differentiated interior treatments: masculine and sporty in the case of the Dynamique, Renault Sport, GT and Gordini options; or more comfortable and feminine with the Privilege and Initiale packages. Ever since its launch, Twingo's build quality has been one of its biggest features, and this is now more apparent than ever in its interior finish, as exemplified by the dashboard which has been enhanced through the use of more substantial and higher quality materials. New Twingo sees Renault introduce a brand new collection of five roof decals in addition to the ten options that are already available. Each one is factory fitted and expresses a bold, attractive personality, with the contrasting motifs offering different visual atmospheres. Two of the decals can be coordinated with the interior and upholstery. Customers can also choose different colours for the door mirrors and tips of the protective side mouldings, with colours which contrast with the main body colour. Whether 'radical' or 'graphic', the end result will not only be entirely personal but also guaranteed to be elegant. This system of personalisation will be rolled out through a fun, online configurator. Renault is making customisation readily affordable thanks to attractive pricing that will allow every owner to say - "That's My Twingo!" New Renault Twingo's design combines compact exterior dimensions with an impressively spacious interior. The very roomy city car provides 22 centimetres of knee room, which puts it among the segment's very best. Meanwhile, Twingo's reputation has always been sealed through its versatility-featuring separate, independently sliding, 50/50-split rear seats, Twingo is particularly practical, too. Its boot capacity can extend from 230 to 959 dm3, while the numerous cubbies and ingenious solutions available as options combine to make it the perfect partner both for shopping runs and for trips to the country. The powerplants which feature in the new Renault Twingo range mean it is more than capable of devouring long distances. The 1.2 TCe 100hp engine, which boasts peak torque of 155Nm available from low revs, delivers the driving enjoyment of a larger-capacity engine, but with lower fuel consumption. Twingo's flagship engines, like the 1.2 16V 75hp petrol engine or the dCi 75 and dCi 85 diesels, have all benefited from ongoing improvements. Coupled with aerodynamic fine-tuning, this work has resulted in significant fuel consumption and greenhouse gas emissions improvements, yet not to the detriment of driving enjoyment. 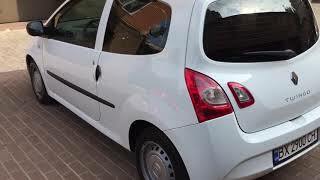 The fuel consumption for Renault Twingo dCi 75 and 85 (3.4 litres/100km) counts among the most frugal in its class. From 2012, New Twingo will achieve benchmark emissions standards: 85g of CO2/km for the dCi 75 and dCi 85 diesel-powered versions and 102g/km with the 1.2 16V 75hp petrol engine. New Renault Twingo is one of the only city cars to be available with Euro5 diesel engines that combine performance and fuel efficiency. Thanks to its platform which is based on that of Clio, New Twingo retains its best-in-class status with regard to handling and ride comfort. It has all the qualities of a long-distance tourer and even offers better range. Driving economically, a full tank can ensure a range of up to 1,000km (diesel version) or 750km (petrol). Meanwhile, New Renault Twingo's compact dimensions and nimble handling are ideal for slicing through city traffic, yet it is just as much in its element out of town, too. All the audio systems in the New Twingo range will feature Bluetooth functionality and audiostreaming with USB connectivity as standard. This makes it easy to play digital music, from a player, phone or USB stick. In this area, too, New Renault Twingo delivers the same features as Renault models in other segments. As an option, the audio system can be used as a docking station for the iPhone and latest-generation iPod Touch. This audio system permits the use of GPS navigation thanks to a Renault-developed iPhone application. This app uses Bluetooth to communicate with the car and analyses the driver's 'eco-driving' behaviour in real time with a view to providing fuel-saving tips. 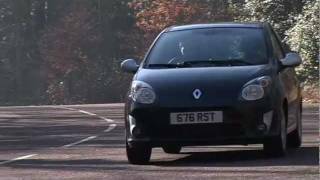 Since its launch, Renault Twingo has enjoyed widely acclaimed reliability and a remarkable level of customer satisfaction, as confirmed by a long list of studies and surveys. Germany's ADAC, for example, considers Twingo's reliability to have ranged from 'good' to 'excellent' for several years. 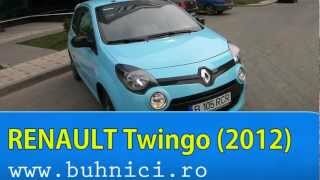 Meanwhile, the French magazine L'Automobile Magazine put Renault Twingo first in its class for the second consecutive year in its overall quality ranking published in February 2011. 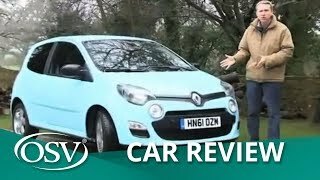 The magazine also stressed that "with Twingo, Renault has demonstrated its ability to propel one of its cars to the top level of customer satisfaction." Thanks to the careful attention that it pays to the details, new Renault Twingo is poised to take the quality long associated with the model to an even higher standard.